A couple of the world’s airport hotspots have already been profiled on this blog but this post isn’t about a hotspot, it's probably more of an odd-spot. 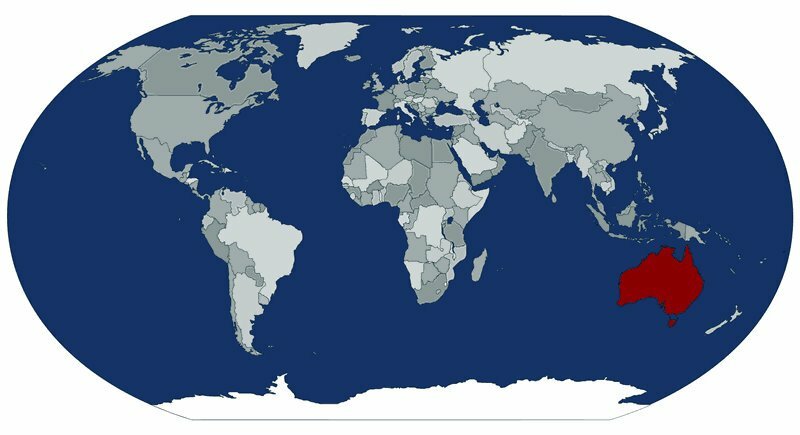 While Australia is a big country, it is also a small country. It has a similar land mass to mainland US but only a fraction of the population (around 23 million). This population tends to inhabit the larger coastal cities but a booming resource sector has resulted in a mobile workforce making weekly and fortnightly journeys to mine sites in some extremely remote areas. It is also nearly the end of the earth. So it doesn't have an international hub. Although, as a destination (and, in this author's biased opinion, a really nice one), it has a couple of gateway airports that do hub out to the nation's regional and remote airports. This post, the 1st in a series of 3, will take a look at the recent decision to, finally, name the site of the second airport for Australia's major international gateway, Sydney. The Sydney Airport (Kingsford Smith as it is known locally) began life a long time ago as a landing field on the shores of Sydney's Botany Bay. The site's benefits meant that it continued to be used in this capacity, as other sites found different uses, until it became the primary airport for Australia's premiere city. This site has witnessed much of Australia's aviation history, including welcoming the jet age and other major aircraft introductions. It has always been the centre of much-politicised controversy with noise the most common issue. The need for a second airport for Sydney was first identified in the 1940s but it was the during the late 1960s and early 1970s that this foresight lost its focus. Studies, sites, protests, rethinks, studies, more sites became a merry-go-round that must have seemed impossible to get off. 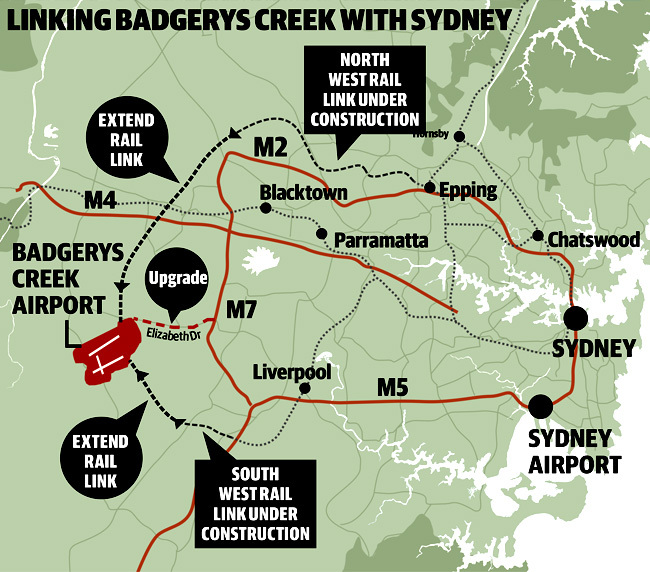 In late 1979, Badgery's Creek gets a significant mention but it takes another 7 years for an announcement to be made that it will be the site for Syndey's second airport. And then, while this site sat waiting to be developed (with political will waning and rebounding) when the need arose, the suburban sprawl of Sydney grew out to the west and before long, the once isolated site had neighbours. And these people were now used to and perhaps seeking the quieter life just a little removed from the raucous of the big city. When the time was nearing to commence development of the second airport site, it's peace-loving neighbours strongly objected and given they were an incumbent voting constituency, they had a significant voice in the political sphere. With the Badgery's Creek site out of favour, alternatives were sought, proposed and often discarded. All with their own political dynamics at play. Notable examples included existing and new airports located out of the Sydney Basin with high-speed rail connection as well as partial or complete civilian take-overs of nearby military air bases. However, the prospect of a large international airport in the neighbourhood found little traction anywhere and the phrase NIMBY (Not In My BackYard) became part of common conversation. Back at the current site, aircraft noise continued to a hot issue and a curfew was introduced in 1995. Despite some site improvements, a third runway for example, capacity and access concerns have been voiced by airlines but the current operator continues to put forward that capacity and growth are not an issue. In contra to the trend towards election-cycle politics, the current government have named, perhaps re-affirmed is a better description, the Badgery's Creek site as the location of Sydney's second airport with a firm process to it's development. The timeline for development is currently set at 2016 for construction and mid-2020s for the first flight. For many Syndey-siders, this latest step probably won't be taken seriously until the wheels hit the runway. In my next post, we'll look at a major on-airport development project - Brisbane Airport and it's new parallel runway project - as it attempts to catch up to international, major domestic and significant regional air traffic growth. Images: photo of the Sydney Airport tower is by Dan Parsons.